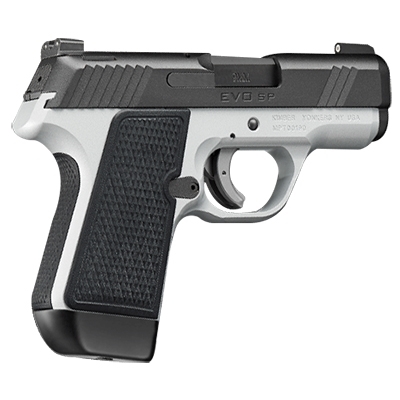 ​The EVO SP (Two-Tone) is designed to be the ultimate choice in concealed carry pistols. The Two-Tone balances providing all of the necessary features of a true performance grade pistol without the exorbitant price tag. The Two-Tone features factory installed TRUGLO Tritium Pro sights, a smooth and consistent trigger, and match grade deep crown barrel. The Two-Tone also offers a full grip and backstrap set to tailor the pistol to your hand size for ultimate control and comfort. The EVO SP (Two-Tone) ships with two 7 round magazines.